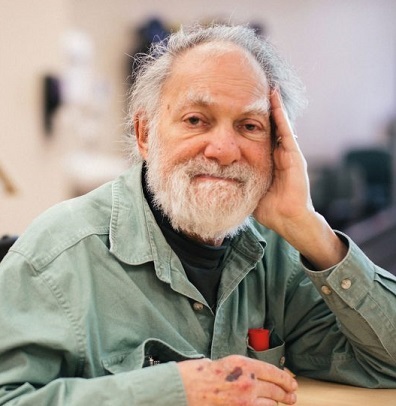 A friend sent along email word that Bernie Glassman (Roshi Tetsugen) died Sunday/yesterday at 79. Wikipedia entry is here and Tricycle notes are here. Wikipedia, while hasty, is a bit more abundant. Bernie is a small thread in my memory weave. Another thread down. He once, when I mentioned wanting to change my Dharma name, offered to do exactly that. "I can do that," he said. But I demurred with a thank you. Somehow he didn't feel right/credible to me. I guess I would like to feel something today because I would like to feel something or something more about my own sometimes energetic years embroiled in Zen practice. I admired Bernie's work in the market places of the world -- a lot of earthy stuff -- but..... It's hard to take up enthusiasms for my own past: Perhaps that excuses my inability for enthuse for Bernie's. I have no doubt he did good stuff. Probably bad stuff too, since it comes with the territory. But I don't much care except to the extent that another thread in the weavings of my past has been removed. My palette of memory is now missing another small bit of hue. I hope he is happy ... the same hope I have for anyone who has joined the majority. I am mildly weakened, but I suppose it's not the end of the world. From color to tinting to sepia to black-and-white -- that's the way things go these days.